They're stackable. They're adorable. They're Tsum Tsums! 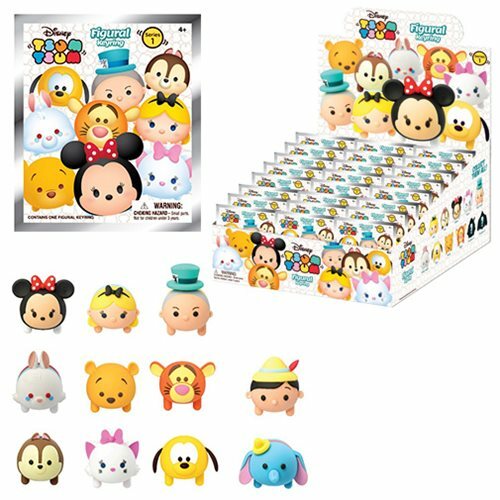 Some of your favorite and most iconic Disney characters have now been turned into adorable little Tsum Tsum figures. This series includes Minnie Mouse, Alice Liddell and The Mad Hatter from Alice in Wonderland, Winnie the Pooh, Tigger, Pinocchio, Marie from The Aristocats, Pluto, Dumbo, and more! Able to stack atop each other, you can make your very own tower of Tsum Tsums! Ages 4 and up. Pocket More Disney•Pixar Characters with Monogram 3D Foam Keychains!